Madonna filed an emergency court order in New York City on Tuesday to block the auctioning of 22 personal items she alleges were lifted from her private residency. 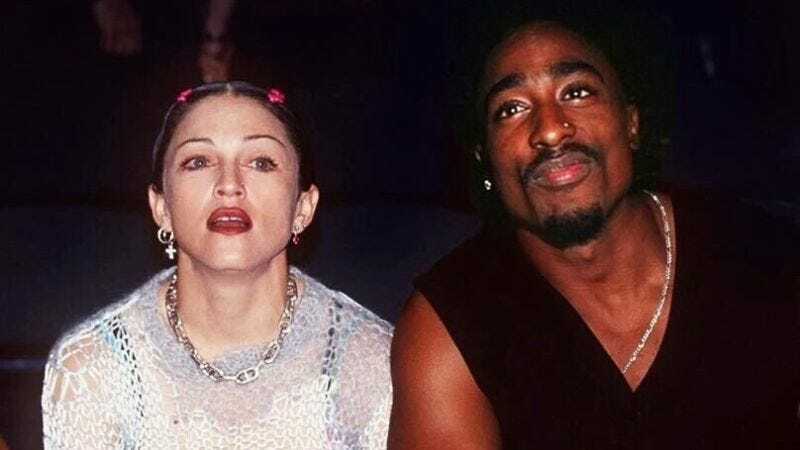 The stash includes, most famously, a letter from Tupac Shakur that’s expected to fetch $400,000, but the entire catalog reads like the trophies of a seasoned stalker: a pair of dirty underwear, a hairbrush with strands of Madonna’s hair still on the bristles, and more letters from ex-boyfriends. Madonna suggested that an ex-friend and art consultant named Darlene Lutz may have stolen the items from her home as she “would have had access to these items on numerous occasions” when the star was not home. Thank you, medics, for helping an ageless Ryan Phillippe deal with his freak accident. Shooters’ production schedule will only be slightly impacted and the leg is healing up nicely.